Lyons Wier Gallery is pleased to present “That’s All They Really Want” by Cobi Moules. The locations of Moules’ compositions are equally important. All of the locations were previously depicted in paintings by the Hudson River School. 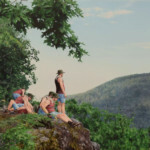 Through the exploration of the grand American landscape and the reflection on mid-19th century American landscape painting, Moules navigates the parallels between the Hudson River School and the religious ideology that was an integral part of his formative years. Shared throughout both is the elevation of purity, virginity and the honor of sacrificing one’s selfhood for the glory of God. As the Hudson River School artists’ work embodies the overpowering force of God made manifest through nature, so do the religious voices of Moules’ past against the validation of his existence. 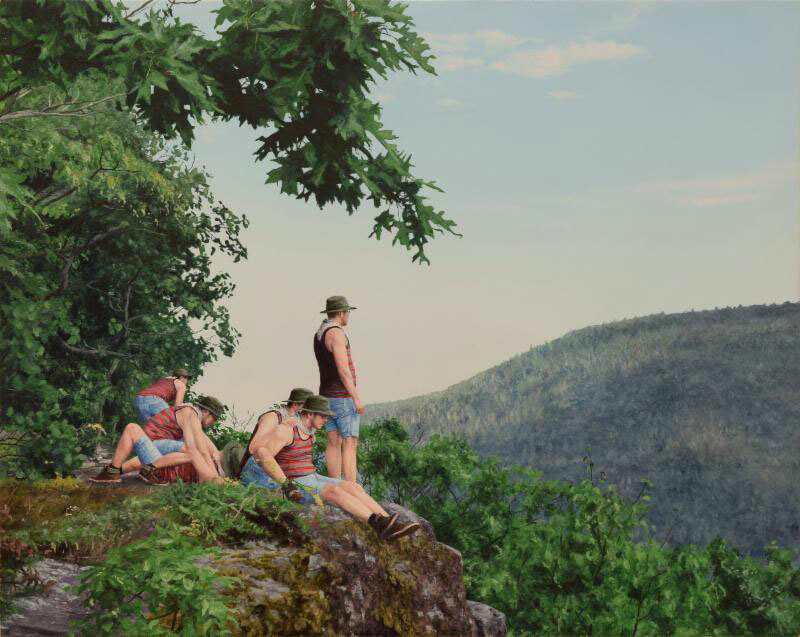 Cobi Moules received an MFA in 2010 from The School of The Museum of Fine Arts, Boston, MA. His work has been exhibited nationally including “State of the Art: Discovering American Art Now” at Crystal Bridges Museum of Art, Bentonville, AR, Ogunquit Museum of American Art, Ogunquit, ME, Minneapolis Institute of Art, Minneapolis, MN, Institute of Contemporary Art at MECA, Portland, ME, 21c Museum Hotels, Lexington, KY, Leslie Lohman Museum of Art, New York, NY, Wesleyan College, WV, to name a few. Recent awards include the SMFA Traveling Fellowship, Vermont Studio Center Fellowship, Blanche E. Colman Award, Joan Mitchell MFA Grant and SFAI Artist in Residence, Art Santa Fe, NM.